Book: I’ve read a few good books lately. 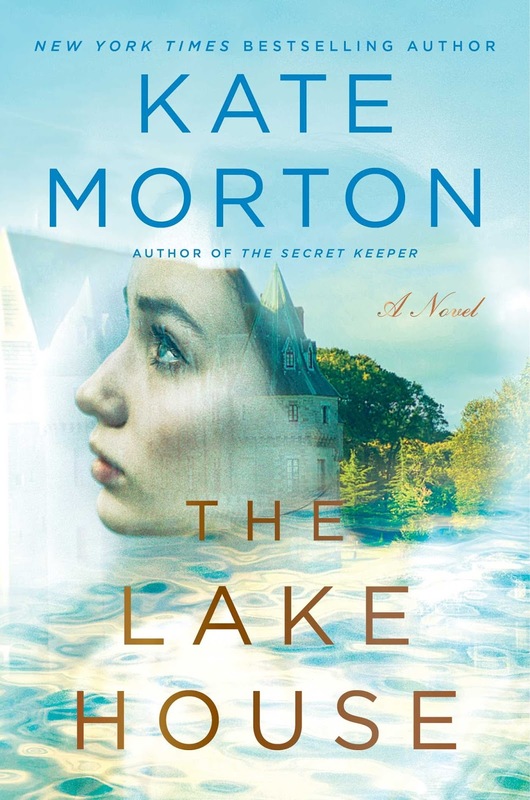 I liked The Lake House by Kate Morton in its use of different time periods and the pursuit of solving a mystery. The characters were likable and relatable, too. The plot had enough twists in it to keep me guessing, which I always appreciate. I’ve also been working through Wicked by Gregory Maguire. For some reason it’s taking me a while, but it’s interesting to read about characters who I only considered as minor when watching The Wizard of Oz. I tried reading it years ago but couldn’t get into it, and I’m proud to say I’m actually intrigued by it this time, even if it has been slow going. I also started reading No One Knows by J.T. Ellison this week, and find that my interest is piqued. It has me turning page after page, trying to figure out whodunnit. Verse: “The Lord replied, ‘Look around at the nations; look and be amazed! For I am doing something in your own day, something you wouldn’t believe even if someone told you about it.” -Habakkuk 1:5. “This vision is for a future time. It describes the end, and it will be fulfilled. If it seems slow in coming, wait patiently, for it will surely take place. It will not be delayed.” -Habakkuk 2:3. Sometimes it seems like things are taking forever, like our plans aren’t unfolding the way we want them to. But it’s comforting to know that God is moving, even if we can’t quite see what He’s doing just yet. He has a plan, and it’s a good one. 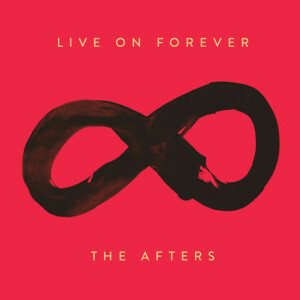 Song: Battles by The Afters is one of my top picks lately. I like the reminder that I’m not fighting my battles alone, and there is always hope. I have God on my side, and I have no reason to fear. I started a playlist called Truth on Spotify (one of my favorite ways to listen to music! ), and this one quickly got added to the list. Like castles of sand, castles of sand. Is marching again, but I’m making a stand. Your love is my armor I fear no evil. So I won’t be afraid, I won’t be afraid. You heal every scar you’re guarding my heart. My rescue, my friend you come rushing in. 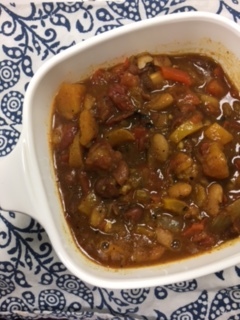 Food: Slow Cooker Curried Butternut Chili from Hummusapien. I’m so excited fall food season is finally upon us! I love pumpkin, apples, squash, chili, soup, spices, tea…basically all the fall things. And dark chocolate. Always dark chocolate. Blog: I just discovered Feel Free to Laugh, a blog by Jordan Baker Watts, and it’s fabulous! She’s so funny and real, sharing highlights and lessons she’s learning the hard way, always through a lens of humor and humility. Memory from this month: September was so full of great things! Our church celebrated its third birthday, which was such a good time. And we had a surprise birthday party for my dad. It was really good to gather the family and some old friends together for him, especially since he didn’t see it coming. 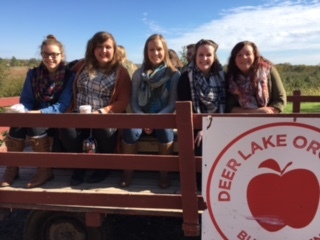 I went to an apple orchard with my best friends, helped frost 500 cupcakes for a wedding, had a girls’ night, and helped coordinate the food for my cousin’s baby shower, all of which were just as much fun as I expected and more.